This Easy Classic Jigsaw Puzzle is dedicated to Kids. 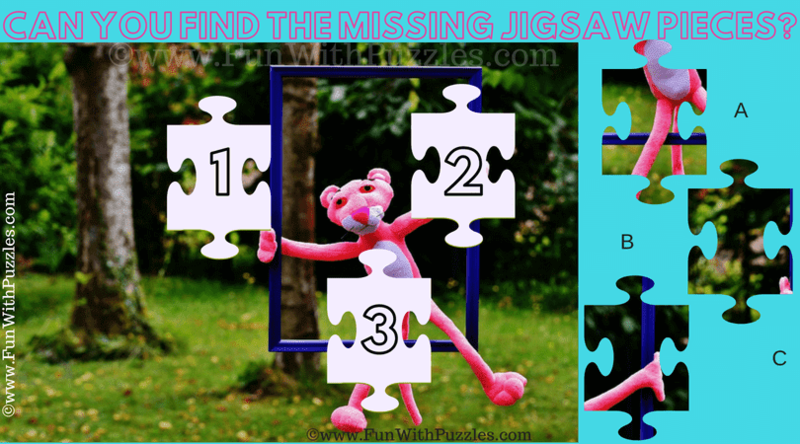 In this Classic Jigsaw Puzzle, three Jigsaw pieces are taken out from Puzzle Image. Your challenge is to match these three Jigsaw Pieces correctly and solve this Classic Jigsaw Puzzle. Do post your comments if you are able to put back all the Jigsaw Pieces back in the Puzzle Image! Can you find the Missing Jigsaw Pieces? Answer of this "Classic Jigsaw Puzzle for Kids", can be viewed by clicking on answer button. Please do give your best try before looking at the answer.